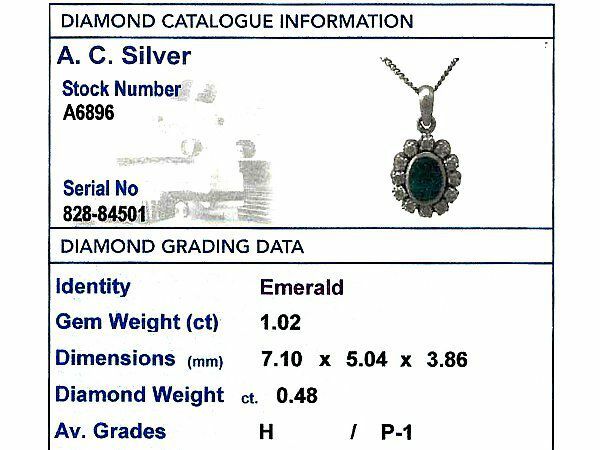 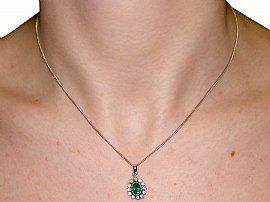 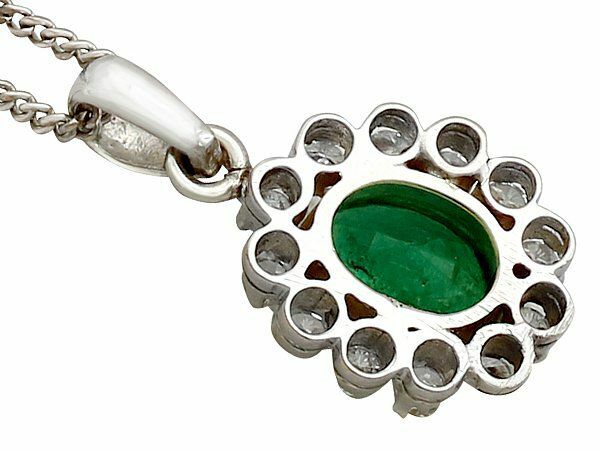 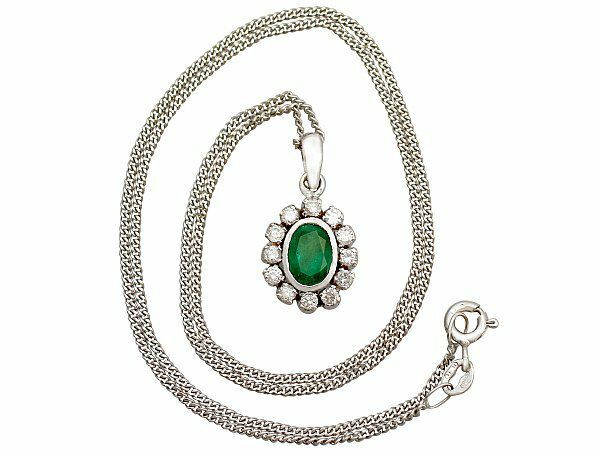 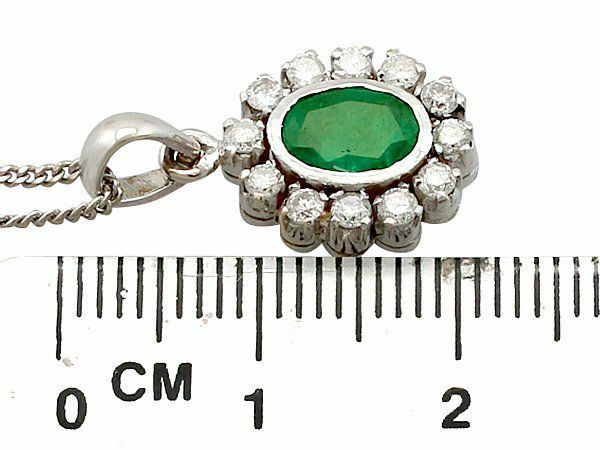 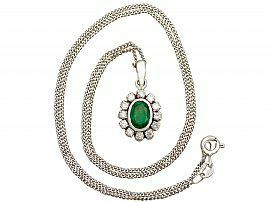 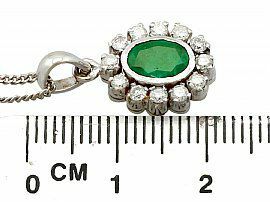 This fine and impressive vintage emerald and diamond pendant has been crafted in 18 ct white gold. 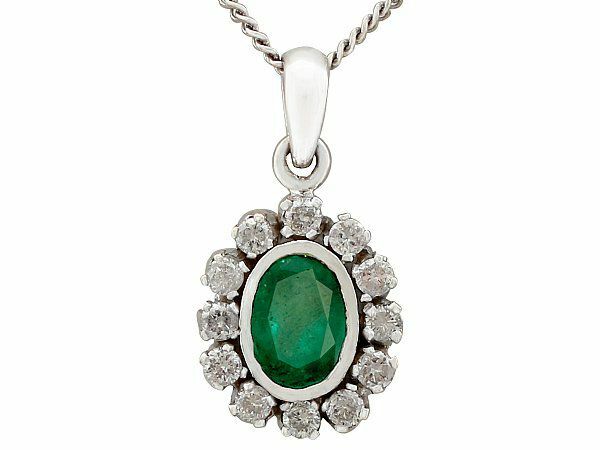 The pierced decorated, oval shaped cluster design is ornamented with a feature 1.02 ct oval mixed cut emerald, collet set to the centre of the design. 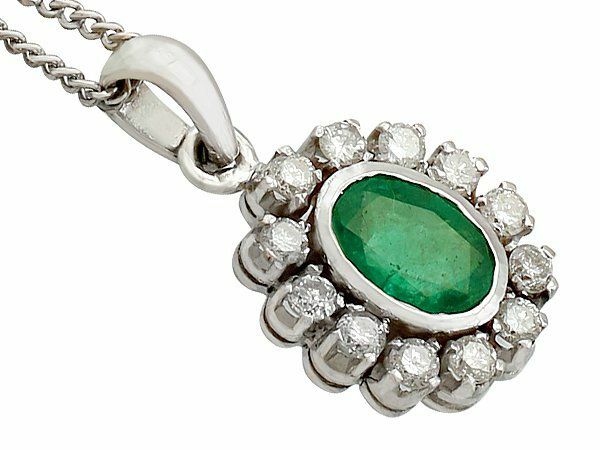 The emerald is encircled by twelve individually four claw set modern brilliant round cut diamonds. 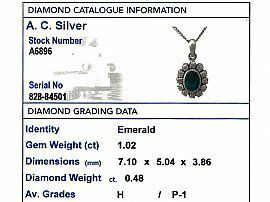 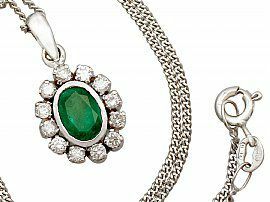 The emerald and diamond cluster pendant suspends from a replacement 18 ct white gold 16" fine link curb chain via an integrated, flared ring loop attachment to the upper border of the cluster design. 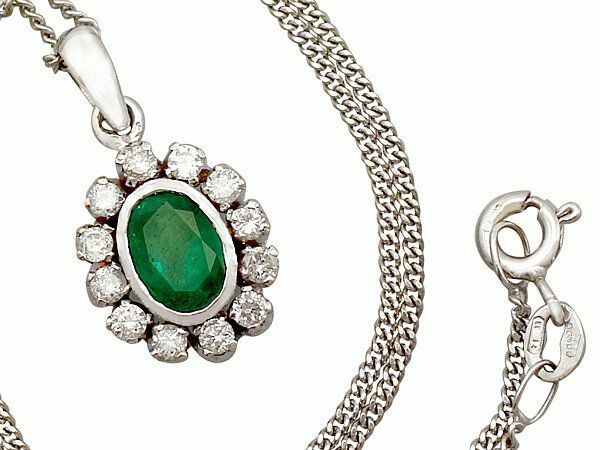 The chain is fully hallmarked and secures with a conventional spring loaded ring loop fastening. 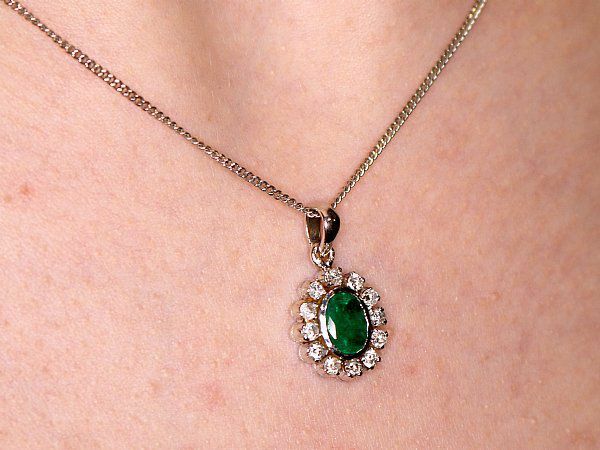 This impressive vintage 1970's cluster pendant has been independently tested using state of the art technology (Niton XL2 Analyzer) and verified as 18 ct gold. 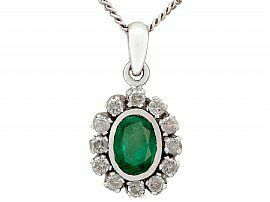 This impressive cluster pendant is fine quality set with an emerald and very well colour matched, very high colour graded diamonds.